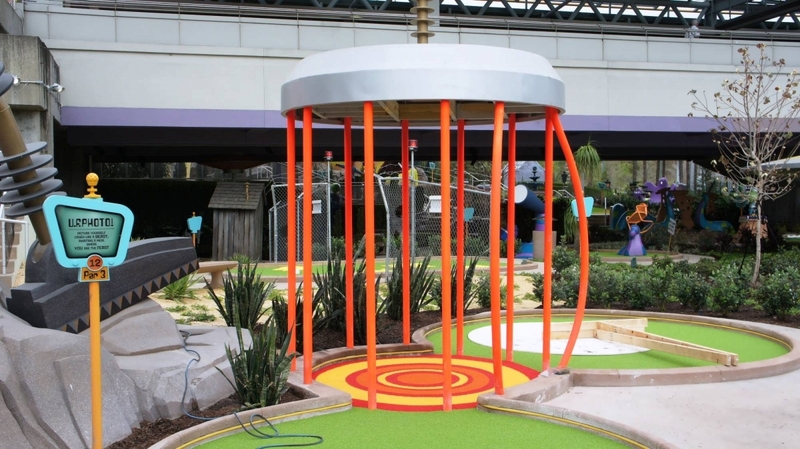 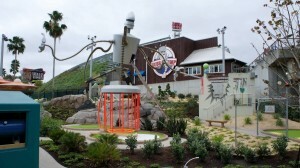 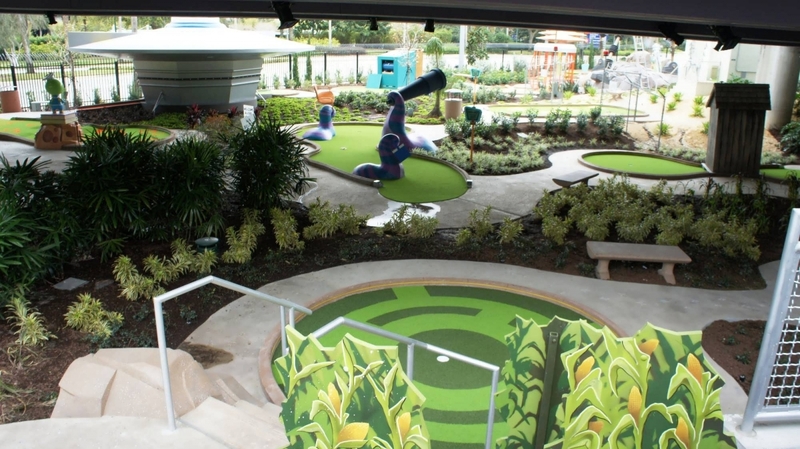 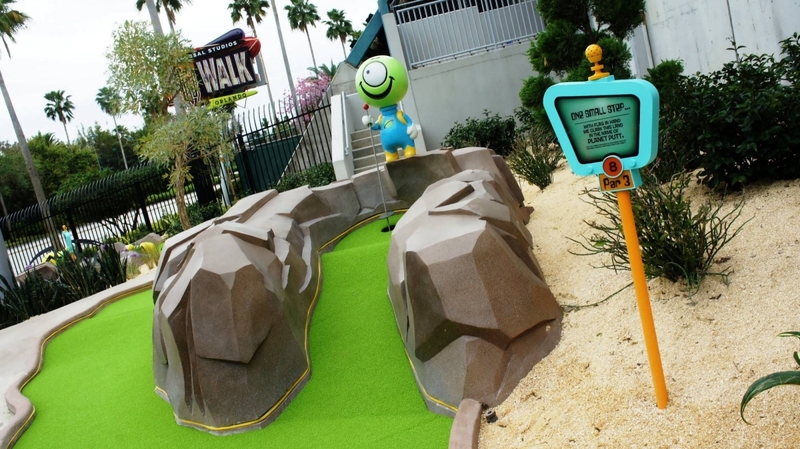 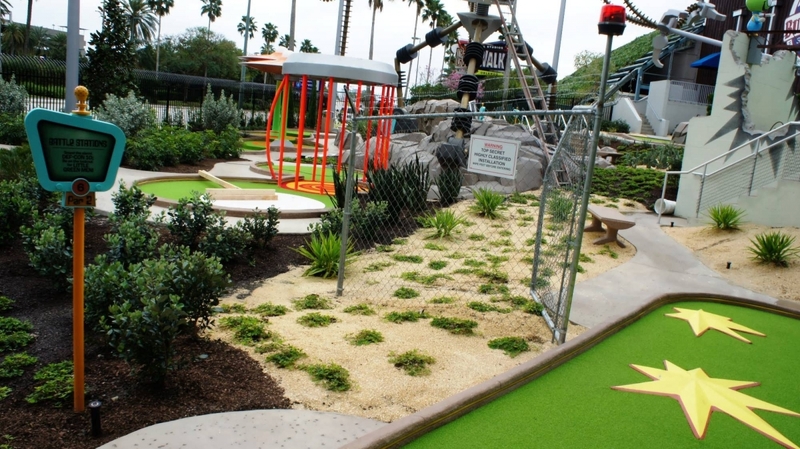 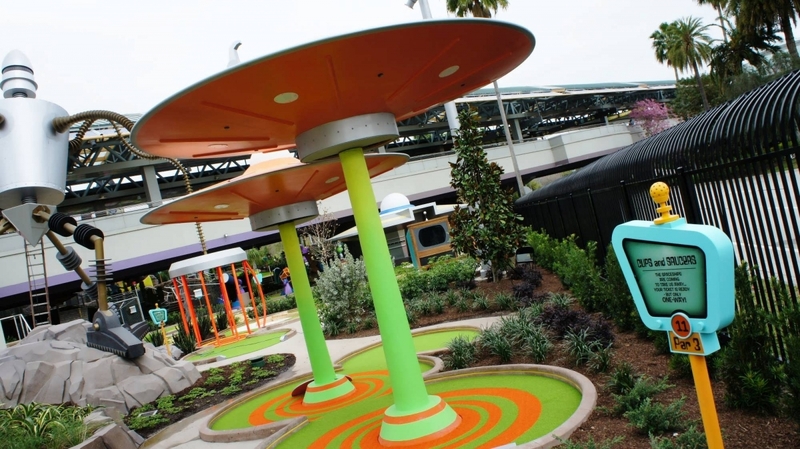 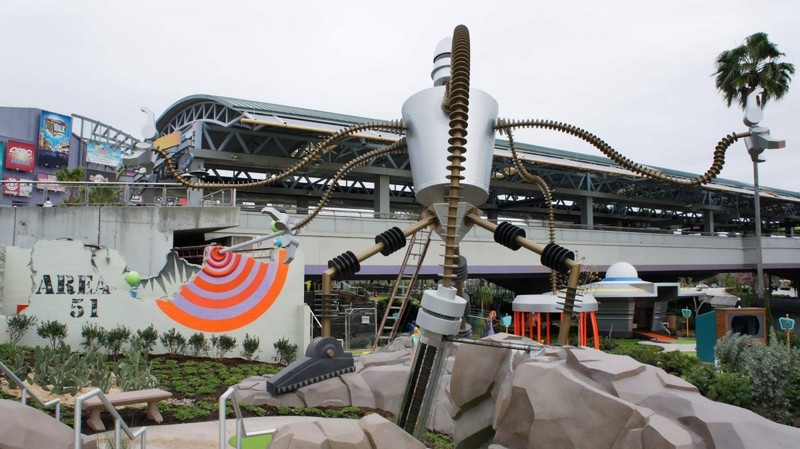 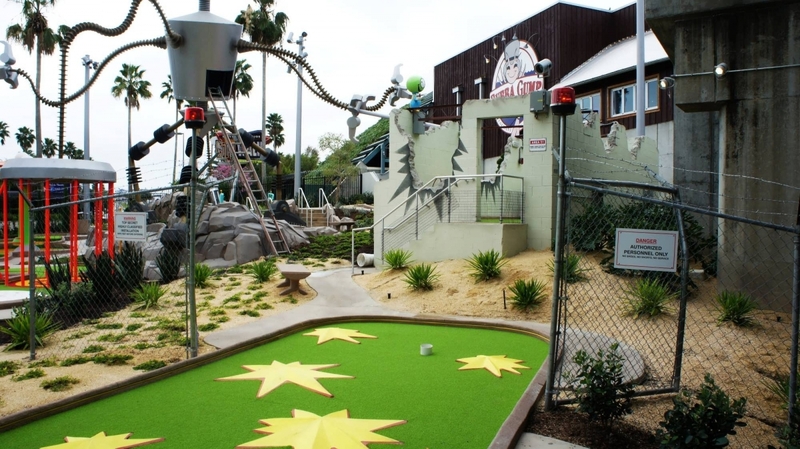 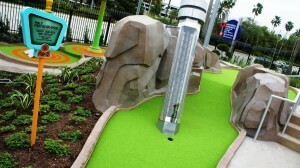 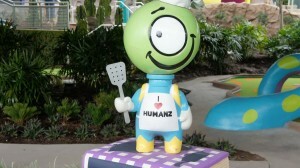 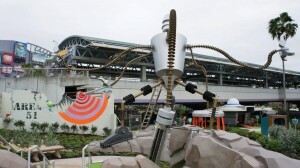 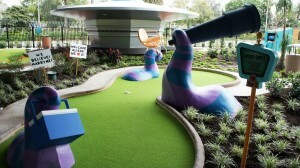 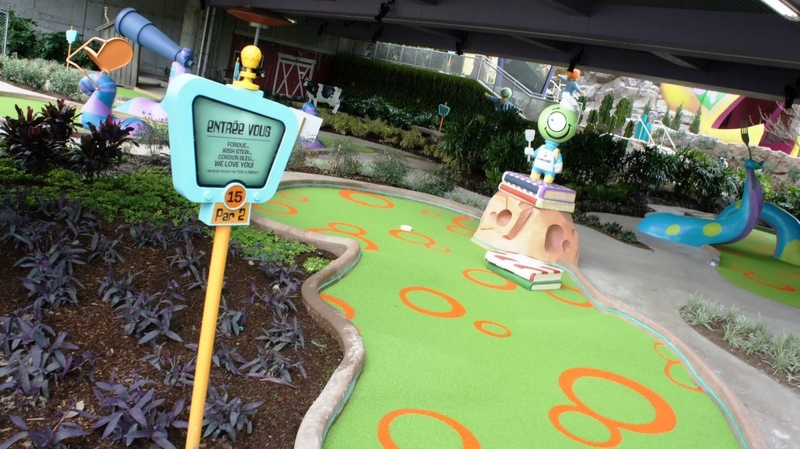 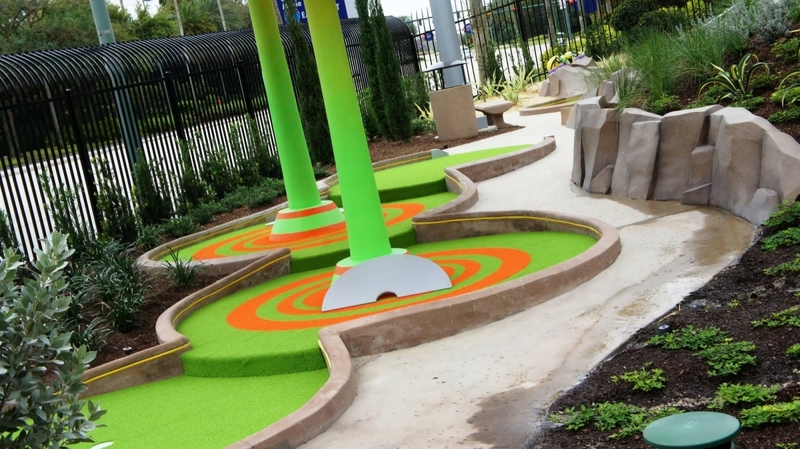 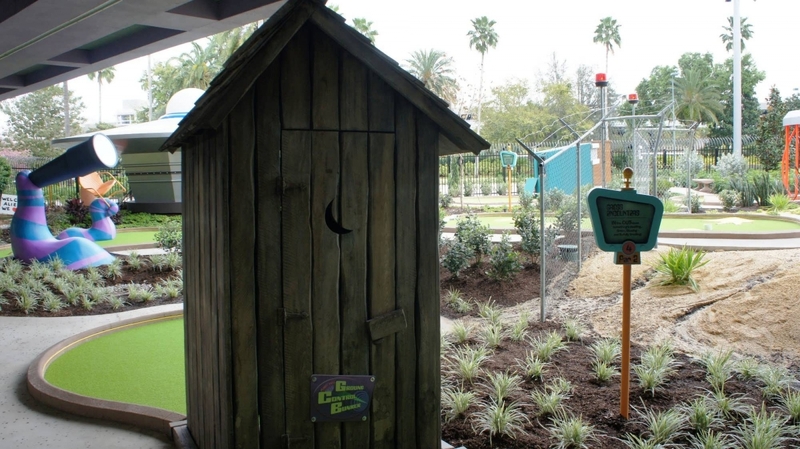 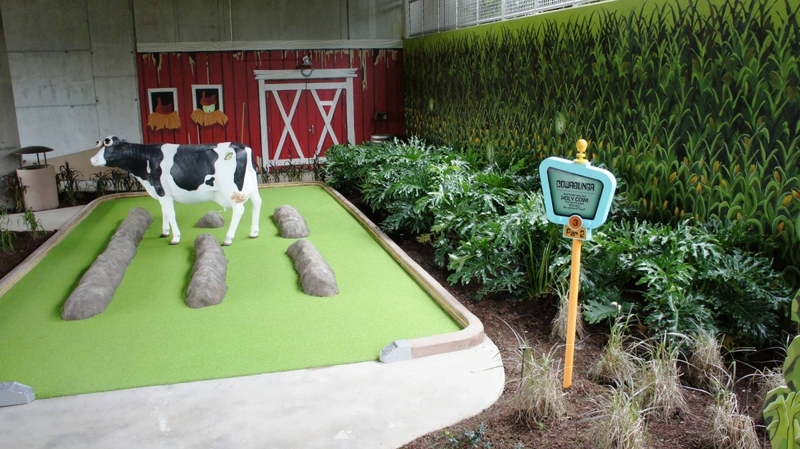 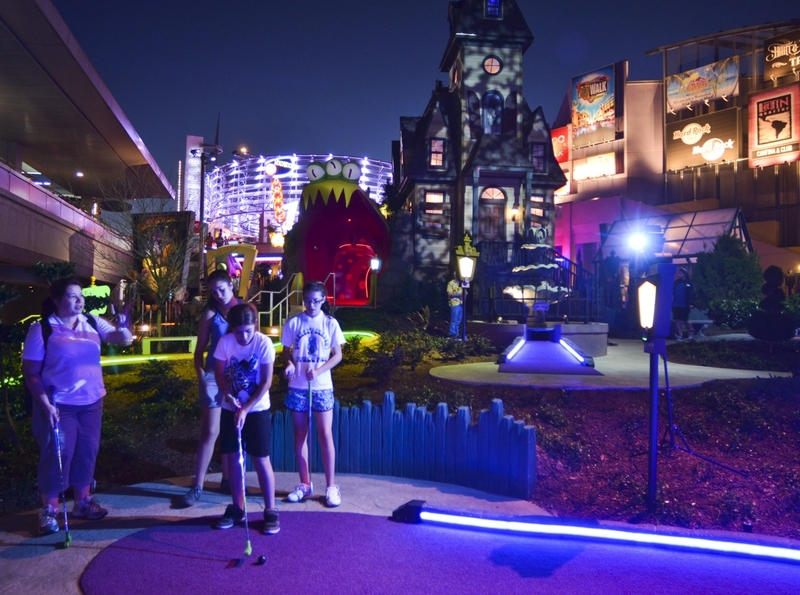 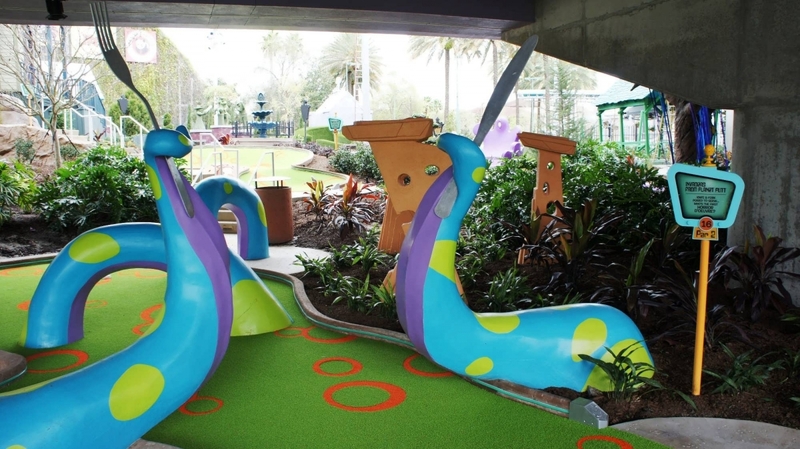 Hollywood Drive-In Golf added a dose of much-needed entertainment options to CityWalk when it opened in 2012, and it’s remained a consistently-highly-ranked putt-putt course in the entire Orlando area ever since. 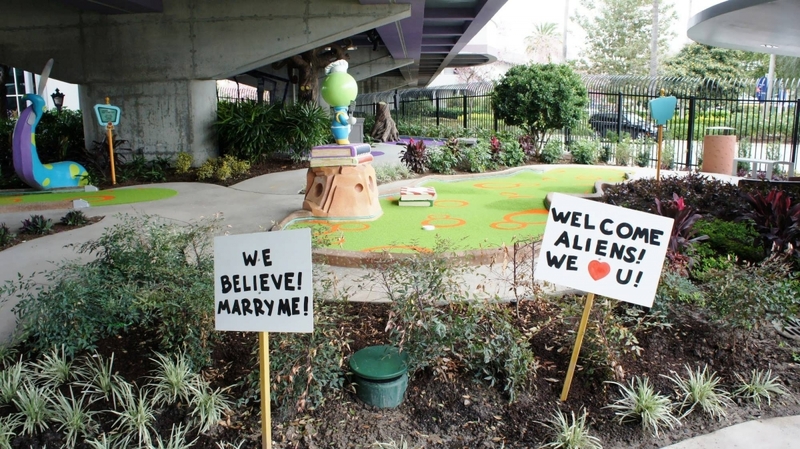 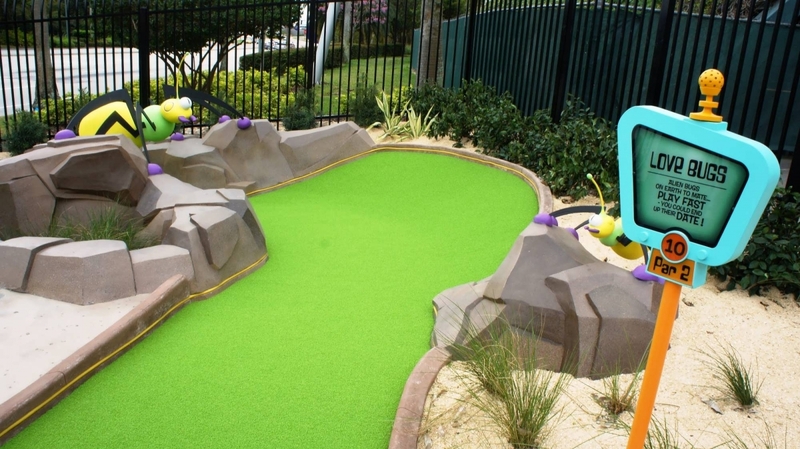 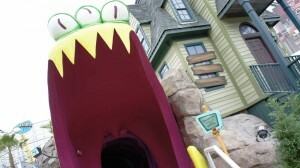 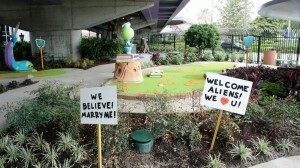 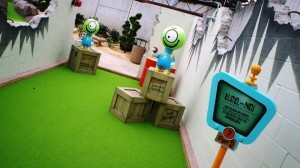 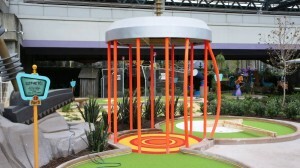 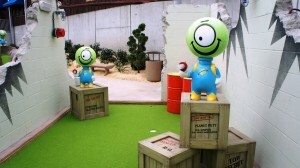 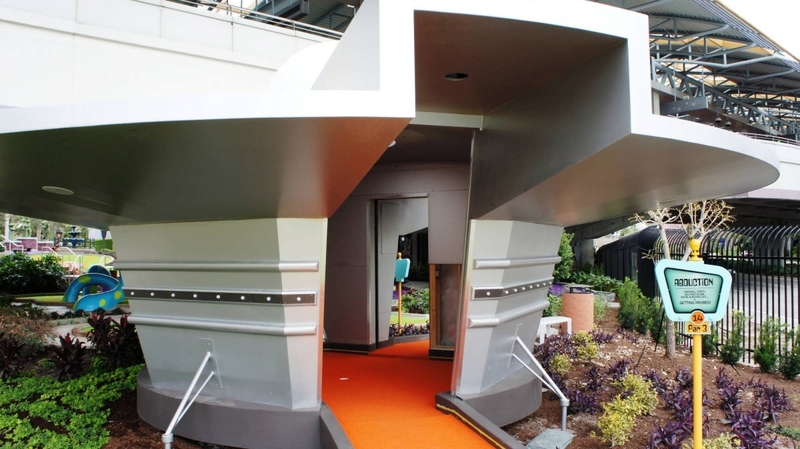 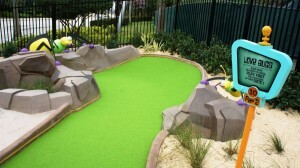 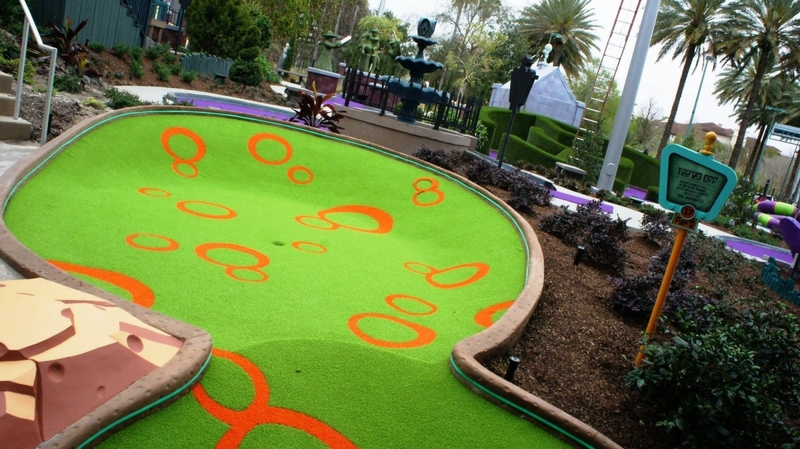 The tongue-in-cheek venue consists of two different 18-hole courses: the Haunting of Ghostly Greens (themed to B-grade horror films) and Invaders from Planet Putt (B-grade sci-fi). 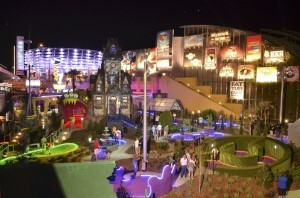 Both brandish interactive elements and special effects (did you expect anything less from Universal?) 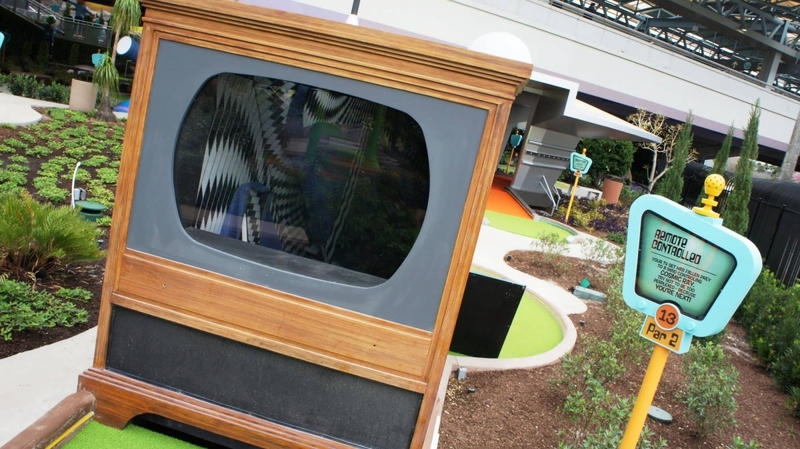 that will leave you loving the vintage vibes and silly antics of the course’s characters. 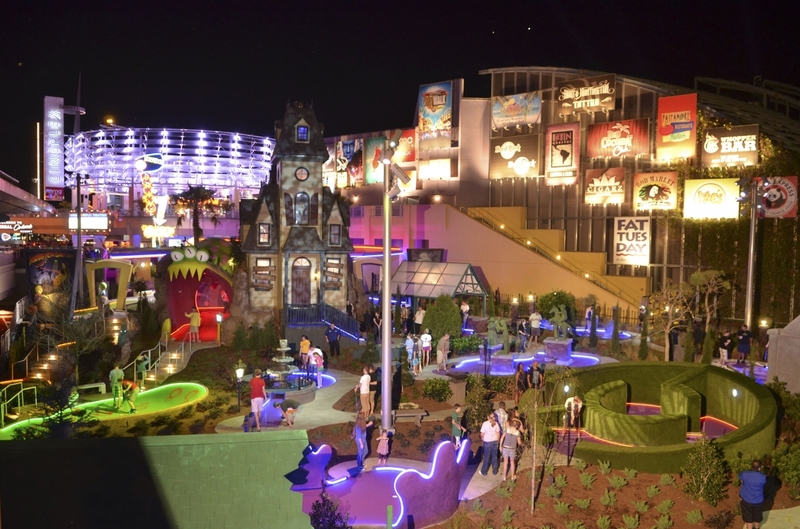 Hollywood Drive-In sits on the ground (that is to say, street-level) floor of CityWalk, tucked underneath the walkways that lead from the main floor to the parking garages. You can find its entrance to the right of the AMC movie theater. Hollywood Drive-In Golf is open from 9:00 am to 2:00 am, seven days a week, and set to illuminate as the sun goes down. 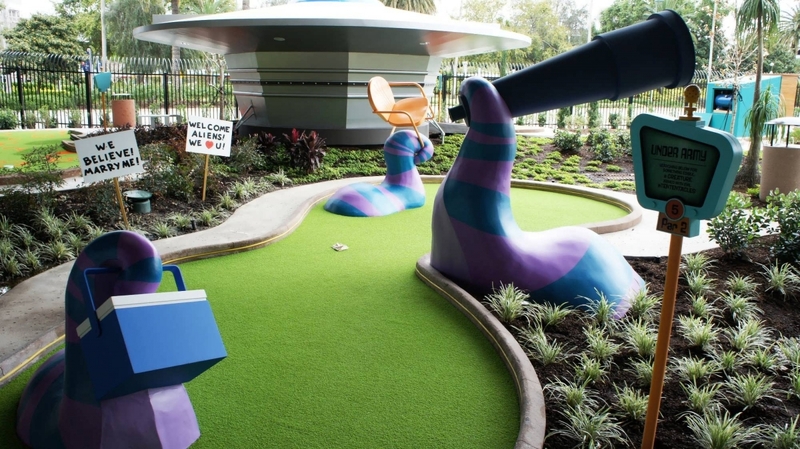 Both of its courses are meant for kids of all ages. 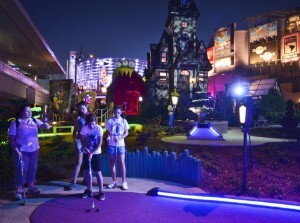 A round of 18 holes will set adults back $15.99 (children, ages three to nine, cost $13.99), while 36 holes go for $28.98 ($24.98 for kids). The thing to note here is that the second set of 18 holes can be played anytime; just hold on to your receipt.